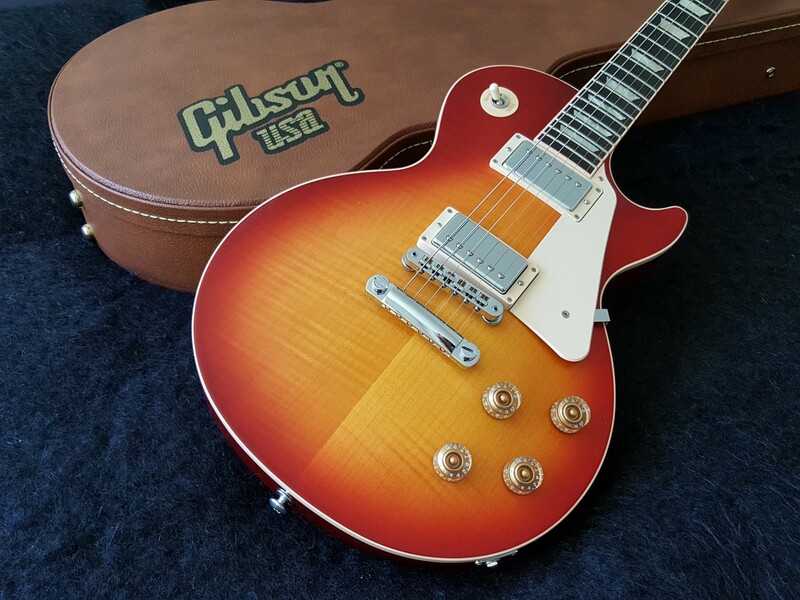 2016 Gibson Les Paul Traditional T - Heritage Cherryburst - unplayed, new, 100% mint, not been a demo in a store. Back to 2014 specs. No auto tuner on the head stock, back to the original neck size and 57 Classic humbuckers. The Gibson Les Paul Traditional solidbody electric guitar gives you the construction quality, performance, and great sound offered by the Standard models from the 1980s and '90s. The Les Paul Traditional features a beautiful figured maple top, non-chambered, weight-relieved mahogany body and a mahogany neck with a comfortable '50s rounded shape. It's loaded with '57 Classic and '57 Classic Plus humbuckers for maximum tone and ample output. Set up and ready to go for maximum playability.